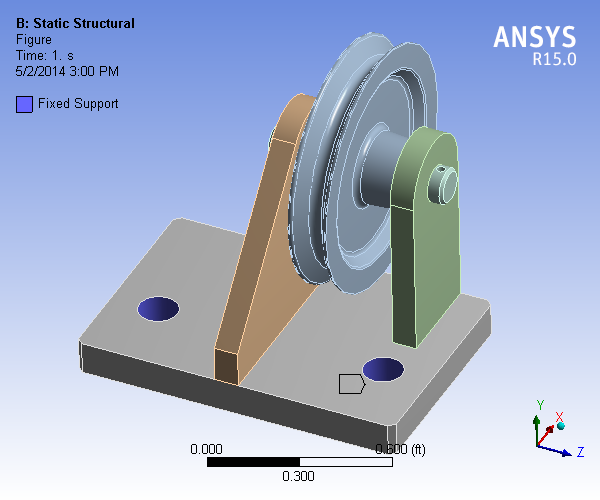 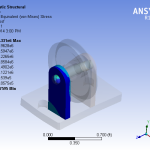 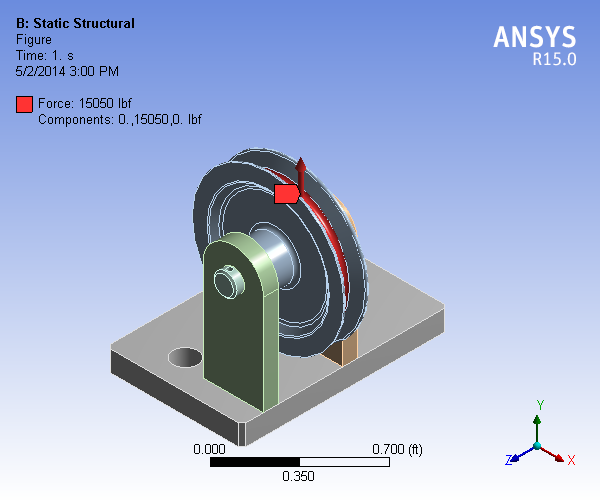 A pulley assembly is modeled in Solidworks and analyzed in ANSYS static structural. 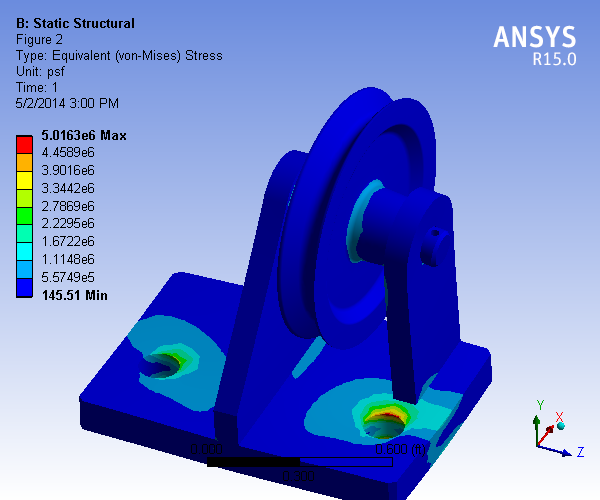 Contact between the pulley, pin, and up rights is estimated as a friction contact with a coefficient of 0.1. 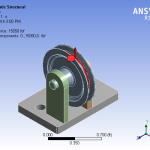 Contact between the uprights and the base are treated as bonded. 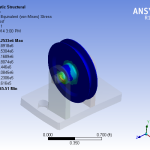 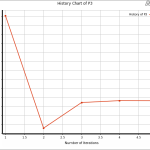 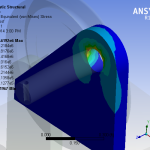 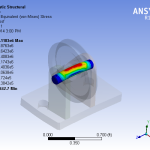 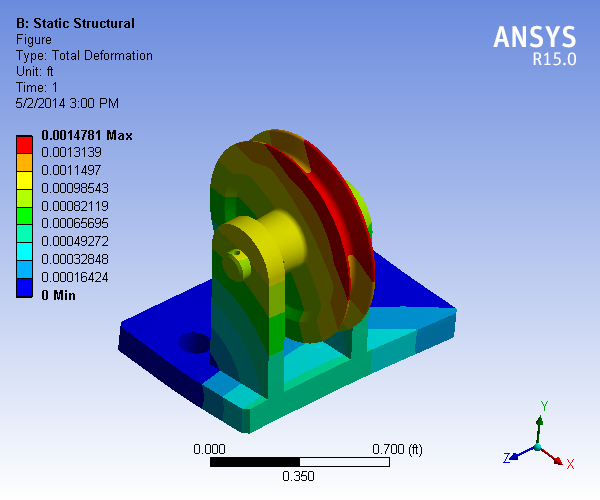 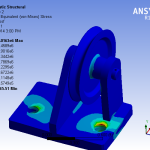 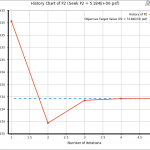 For more accurate results, a true weld should be modeled in the ANSYS analysis. 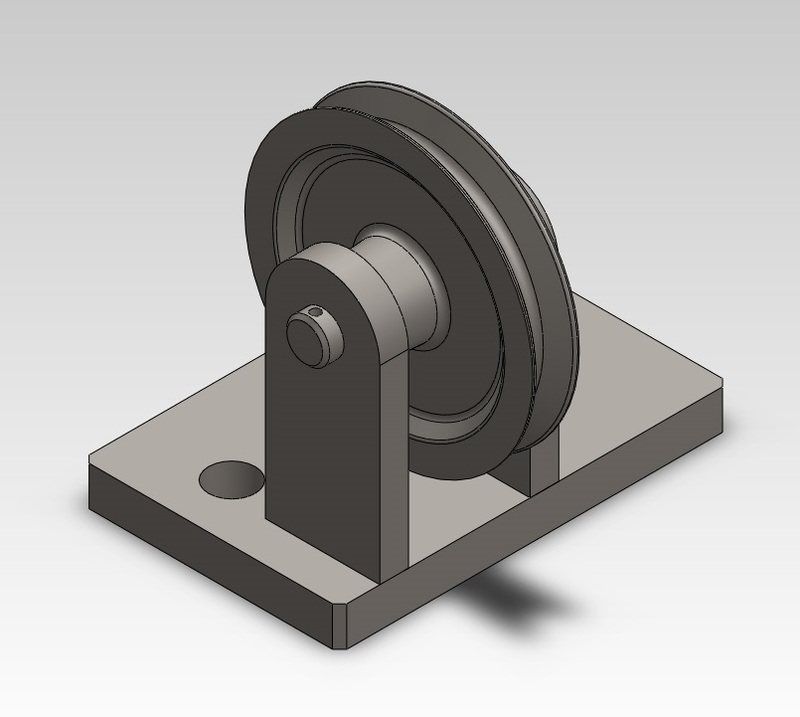 The bolt holes are constrained as fixed and the force was applied in an upward direction on the pulley groove surface. 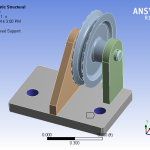 All parts are made of ASTM A36 steel. 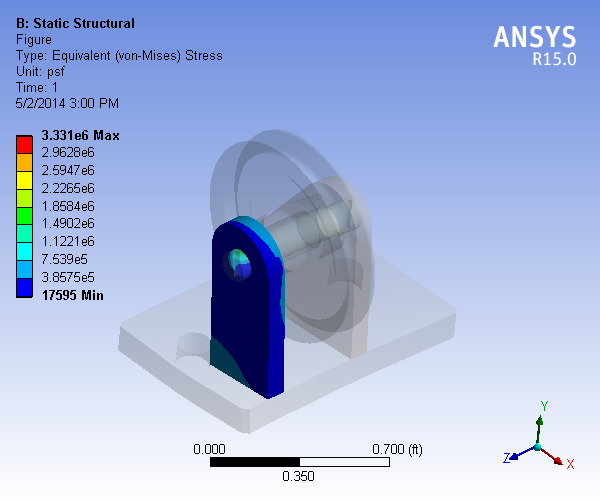 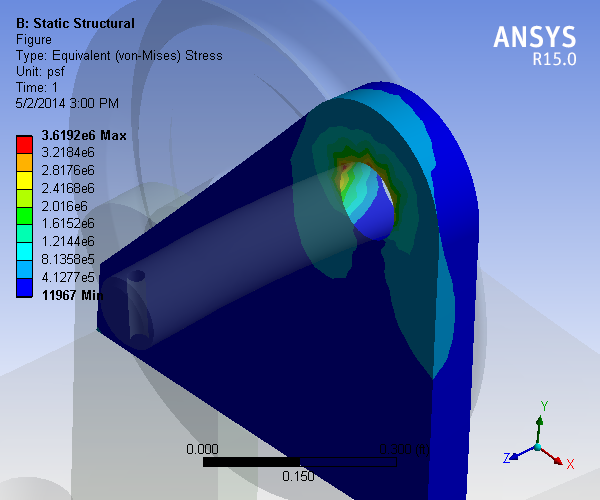 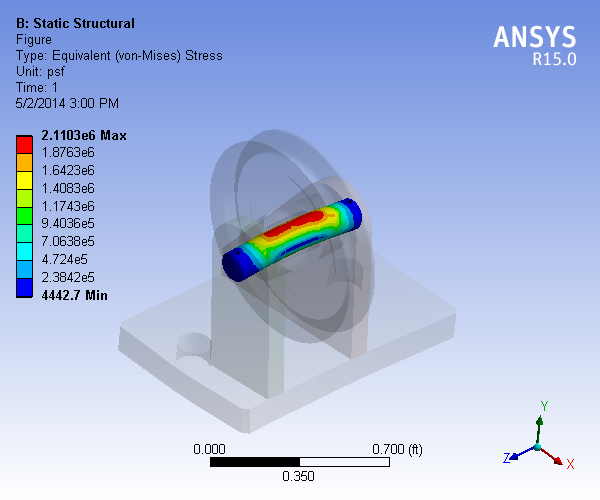 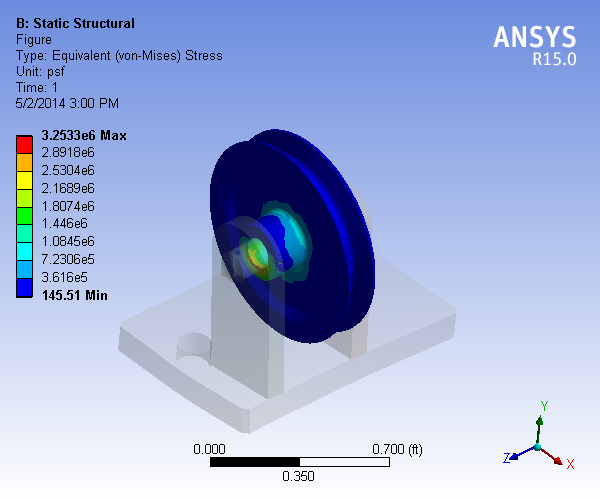 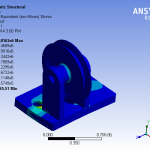 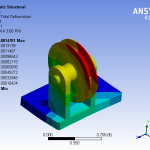 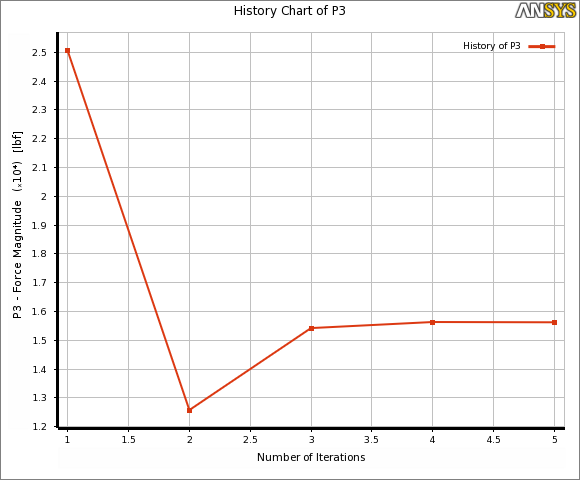 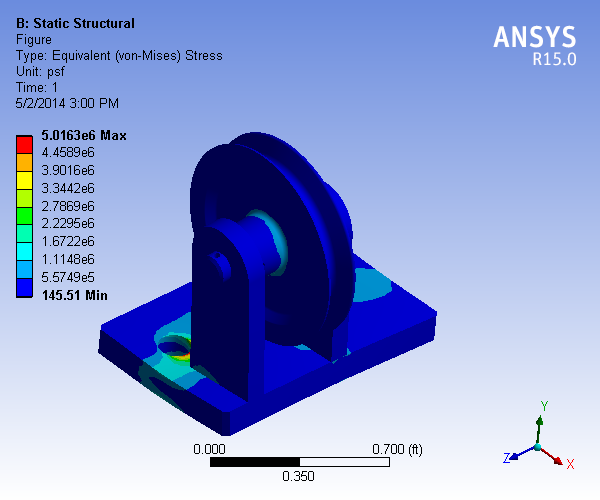 A MISQP optimization was run with ANSYS response curve optimization with linked parameters (force and max stress). 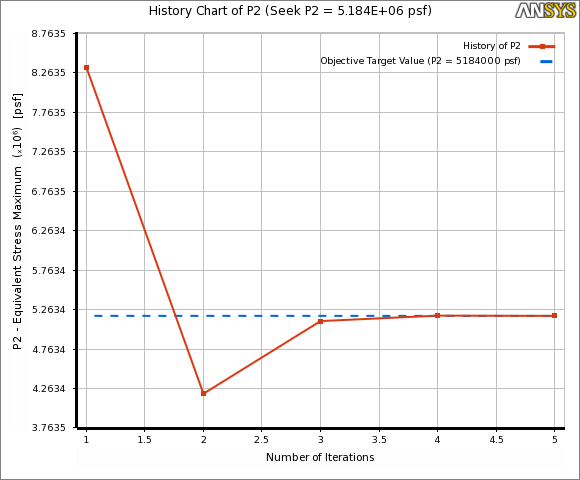 Allowable convergence was set to 1e-7% using central difference. 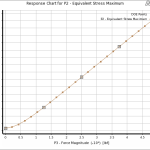 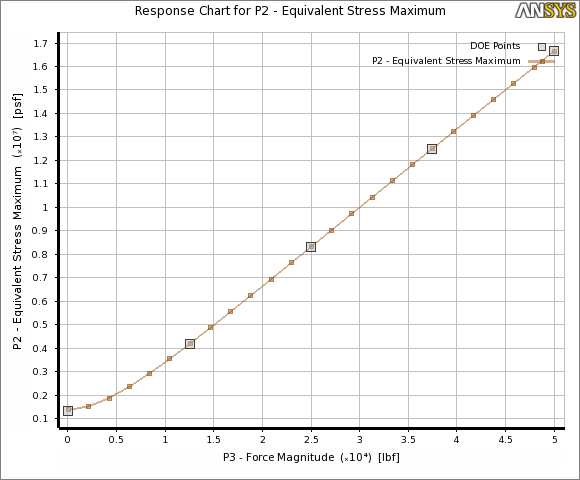 The ideal candidate point was found to be F = 15624 lbf, resulting in a stress of 5.184e6 psf (yield for ASTM A36 steel).